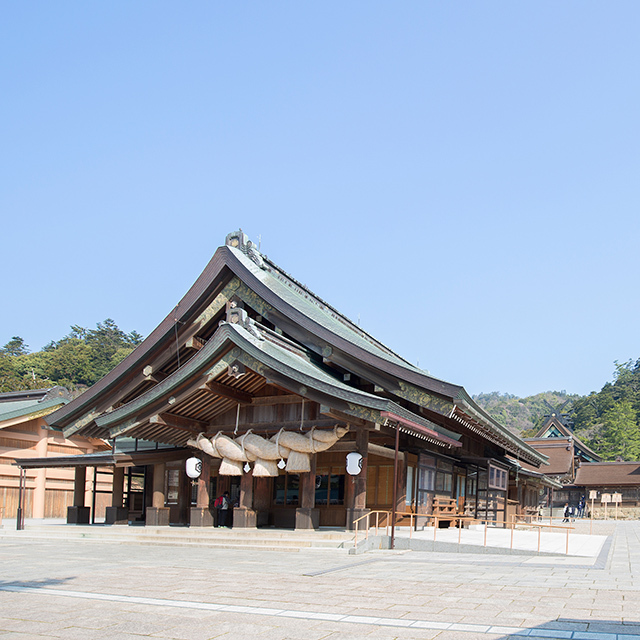 Visit Izumo Taisha Grand Shrine , known for forming good relationships, and spend a blissful time taking in the specialties of Izumo. 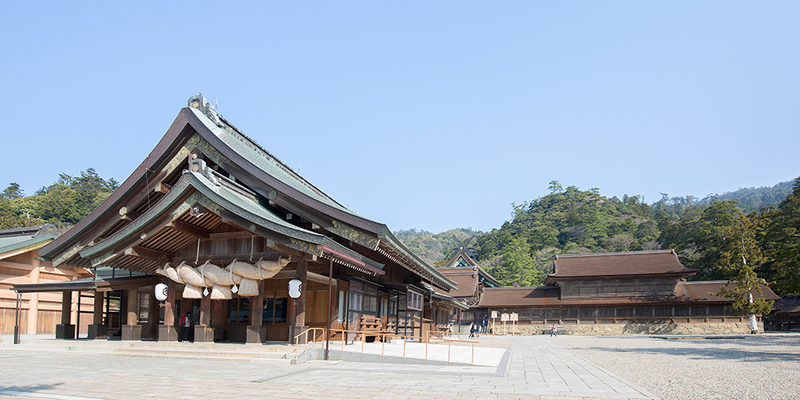 Historic shrines are located all over Izumo City in Shimane Prefecture. 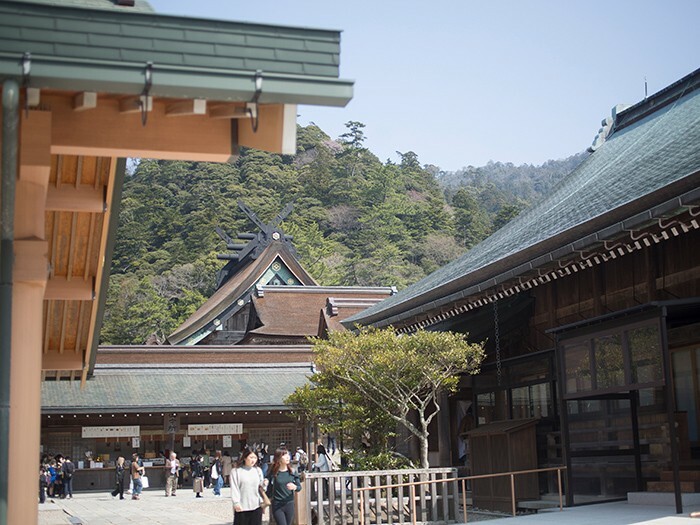 At its heart is Izumo Oyashiro Grand Shrine (also known as Izumo Taisha), the construction of which is recorded in Japan’s oldest history book, the Kojiki,completed in 712. 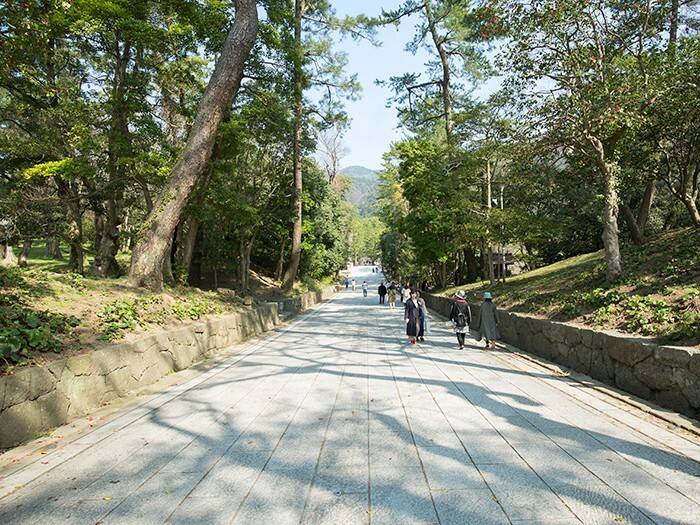 Pass through the entrance to the shrine precinct, the Seidamari-no-Otori gate, and you will find the road to the main shrine extending straight in front of you. The shrine road, with huge, lush trees, creates a dignified atmosphere, and as you walk the nature here gives a sense of tension. 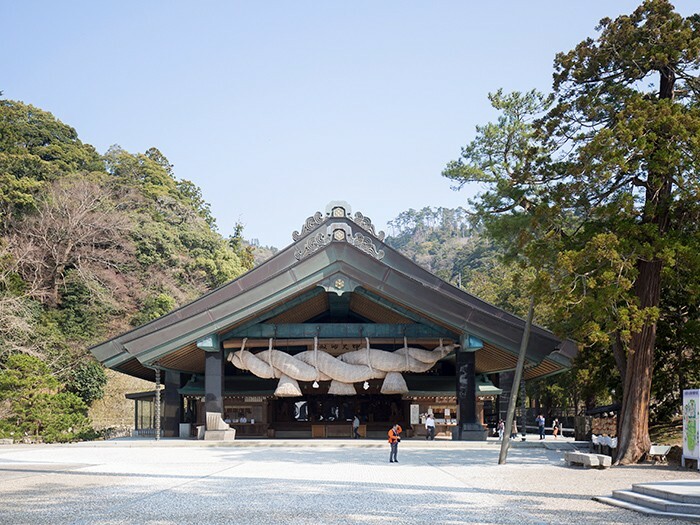 After cleansing your hands and mouth at the temizusha, a place for ritual cleansing, head to the Haiden (Worship Hall), adorned with a huge, impressive shimenawa (rope). 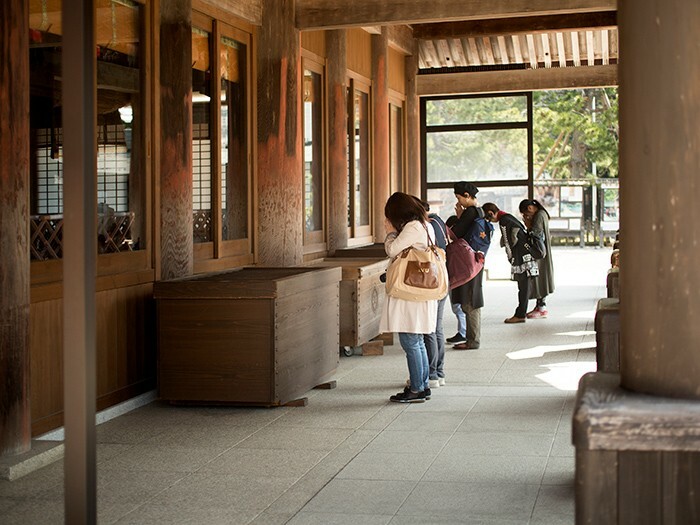 Pay homage in the Izumo Taisha Grand Shrine method: bow twice, clap four times, and end with a final bow, and then head over to the Main Shrine, a National Treasure, dedicated to Okuninushi no Okami, who is worshipped as the god of relationships. This majestic building is the largest of its kind in Japan, and the oldest architectural style of a Shinto shrine, overflowing with a solemn atmosphere that touches the hearts of visitors. 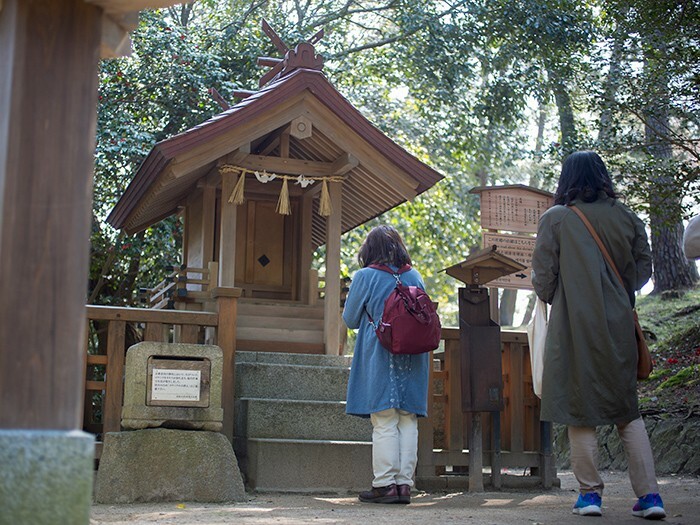 On the main shrine road, cleanse the pollution from your mind and body at Harai no Yashiro, a shrine for ritual purification, and pay homage. 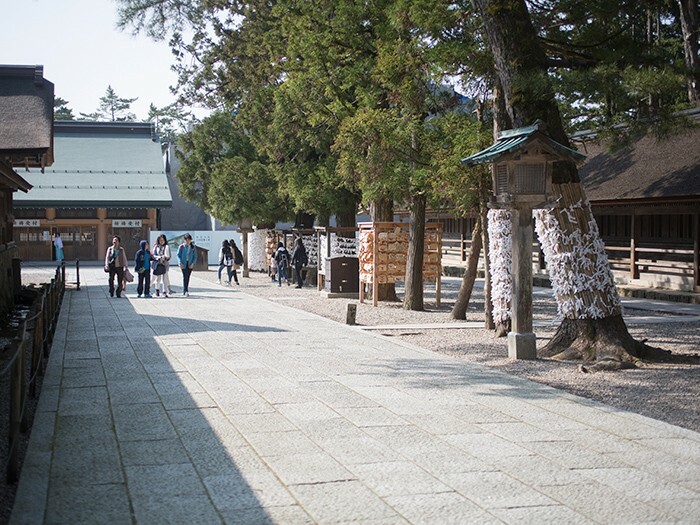 There are many auxiliary and subordinate shrines dotted around the Main Shrine. It is said that if you write your wish on an ema (votive tablet) and offer it here, the wish will come true. 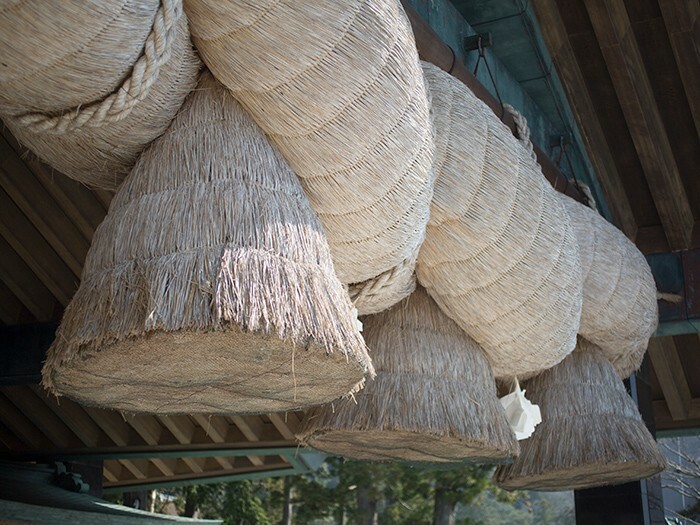 One of Japan’s largest shimenawa, ropes that denote sacred spaces or items, hangs over the Kaguraden. It is 13.5 m long, and weighs 4.4 tons. 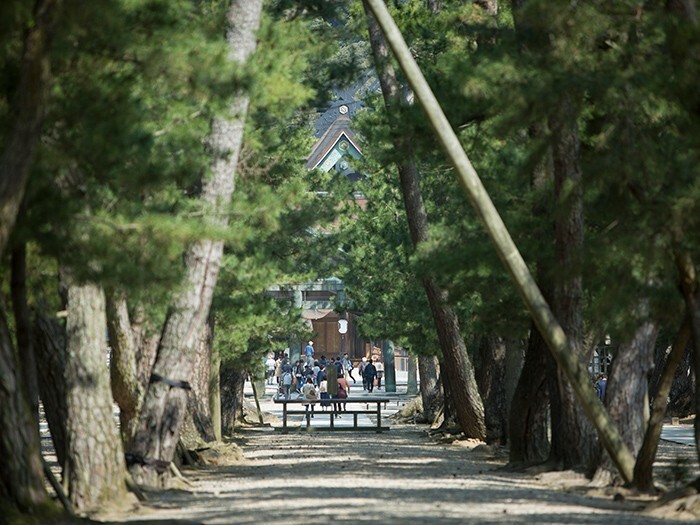 After visiting the shrine, take a walk down Shinmon Dori Street. 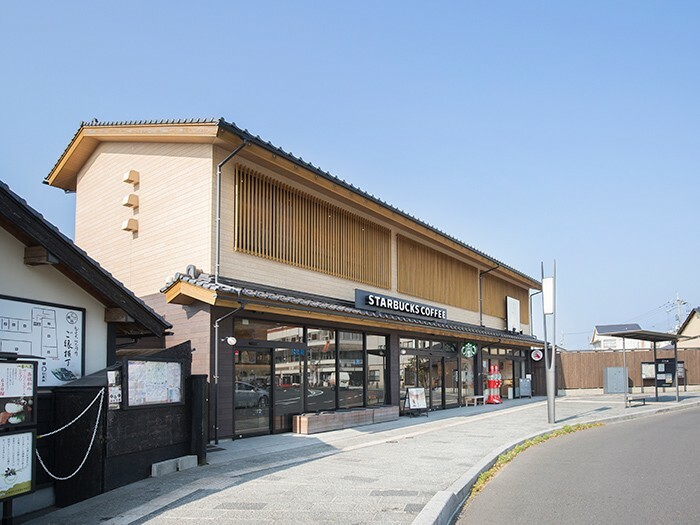 You can take a break at the Izumo Taisha STARBUCKS COFFEE, while looking out at the Seidamari-no-Otori gate. 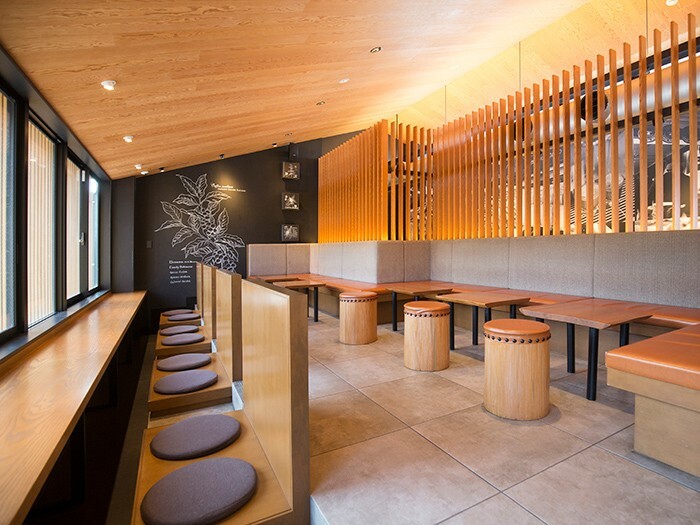 Look out for the design and interior unique to the Izumo Taisha store, with lighting that uses the shrine’s shimenawa as a motif, the ceiling that evokes a gabled roof, and the shared table in the shape of a magatama, a comma-shaped bead. 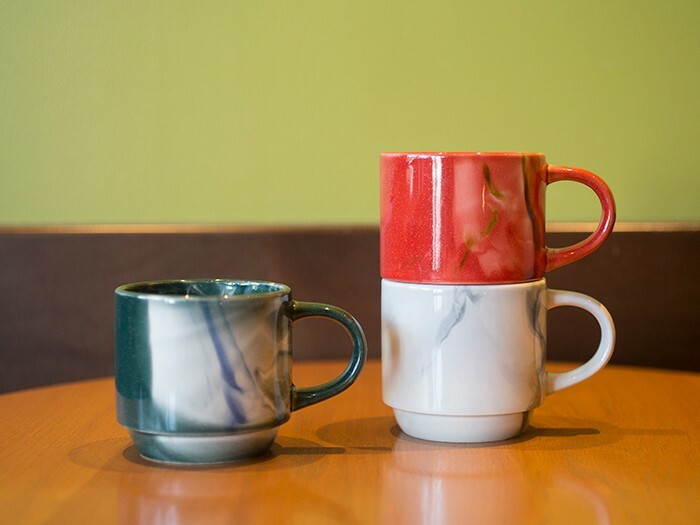 These limited Izumo Mugs, 1,728 yen, are colored by craftsmen based on the patterns found in agate, a special product of Shimane Prefecture, and each mug has a different appearance. 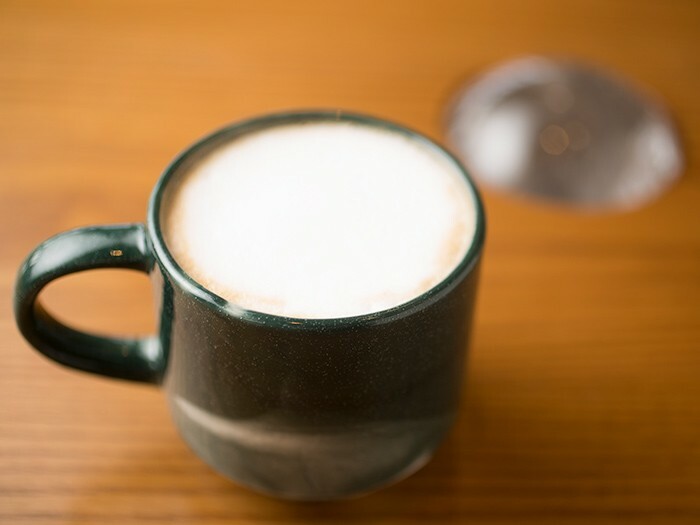 After purchasing your mug, you can enjoy using it straightaway inside the shop. 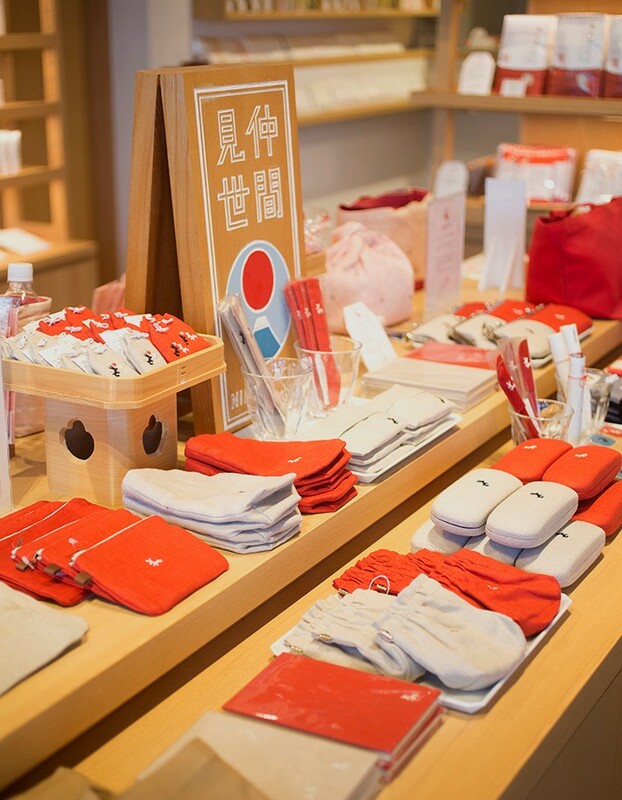 Esuko offers a rich array of special products from Shimane Prefecture and limited goods with a rabbit motif, which appears in the myths as a symbol of relationships. 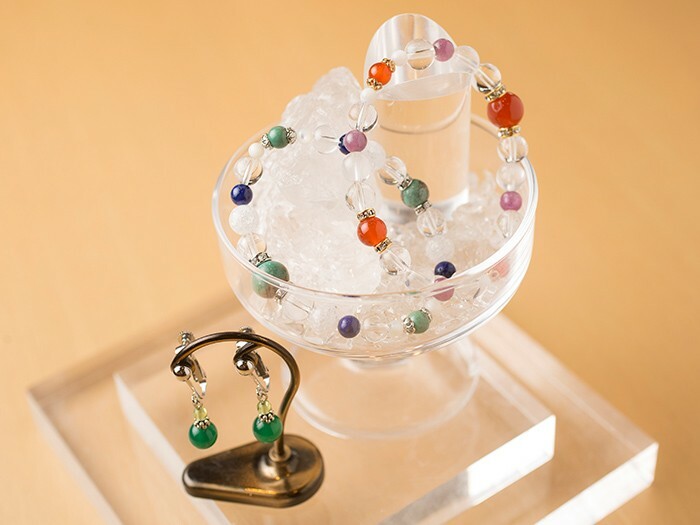 Here, the accessory-making experience, where you choose the natural stones that you like and create an original accessory (from 1000 yen, reservations are given priority), is popular. 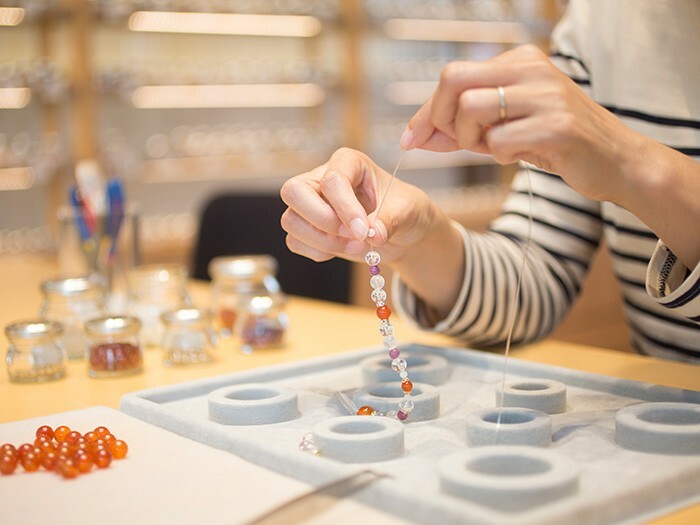 A hand-made item that you have put your heart into makes a special souvenir from your trip to Izumo. 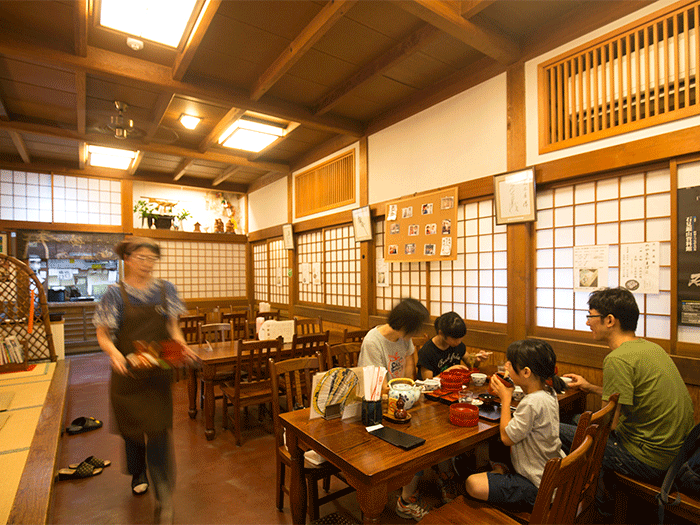 If you get hungry when you’re walking around, head to one of the well-established shops that sells the specialty Izumo soba.Izumo soba is a variety of traditional Japanese soba noodle and regional specialty enjoyed since olden times by travelers worshipping at Izumo-taisha Shrine. Araki-ya, founded 230 years ago, is the oldest Izumo soba house in Japan. 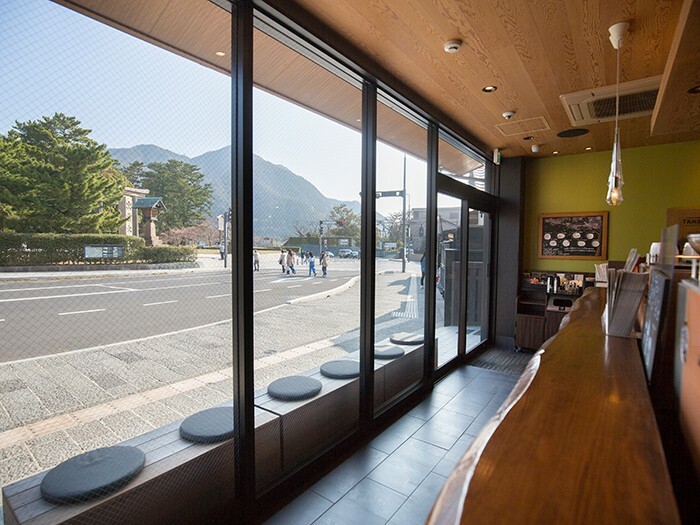 The famous “warigo-sandai soba” (triple-layer Warigo soba) can be sampled for 1090 yen in this atmospheric place. The chilled noodles and heaped on three deep red lacquerware round bowls assembled in a tower. 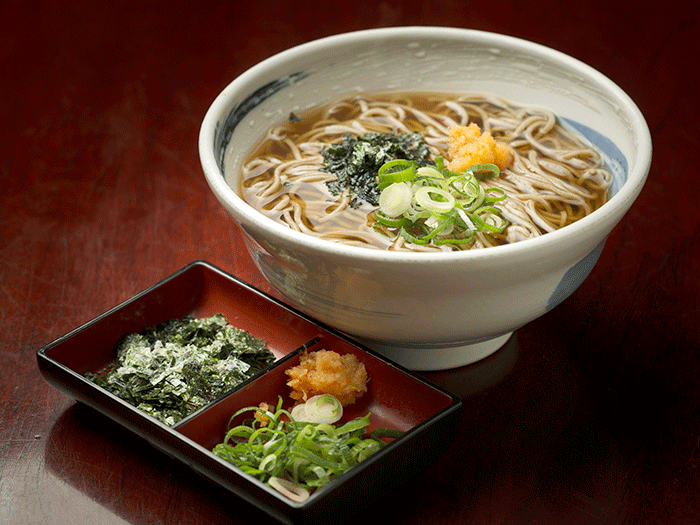 The top bowl contains soba with egg, the middle bowl soba with grated mountain yam, and lowest bowl simply soba. Simply add soy-based sauce (tsuyu) and condiments such as spice, green onion and roasted seaweed to taste. 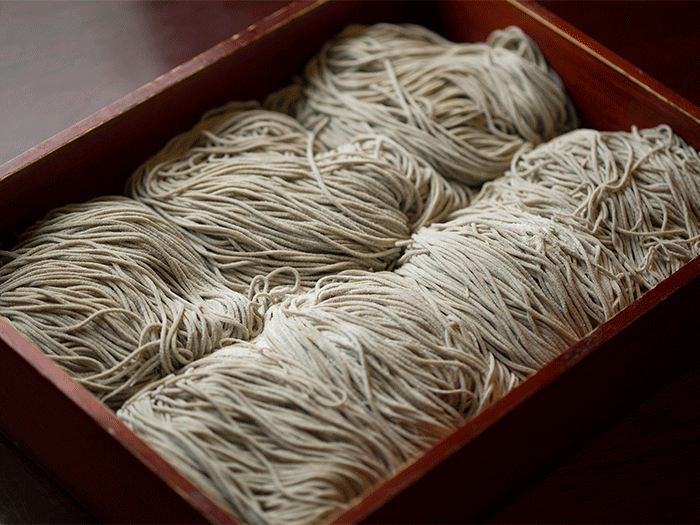 Izumo soba is distinguished by its dark color and strong flavor, derived from the process of buckwheat and outer husk being ground together using a millstone. 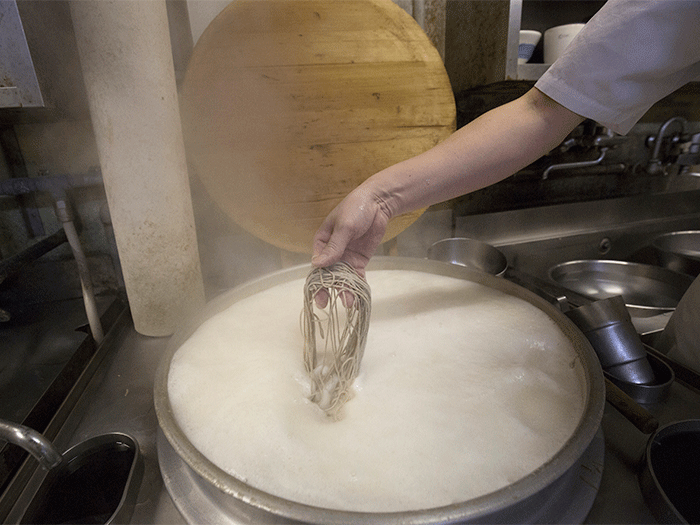 The noodles are an excellent match for a sweeter tsuyu using a thick dashi and soy sauce. It is a nifty way to enjoy slurping up the silky noodles. You must try this unique aspect of Japan’s food culture for yourself. Once you have finished the noodles, consider pouring some of the broth leftover from cooking the soba (sobayu) into your leftover tsuyu. “Basking in the afterglow” in this way is one of the joys of soba. About 25 minutes’ ride on the Ichibata Bus to Izumo Oyashiro (Izumo Taisha)/Hinomisaki/Uryu from JR Izumoshi Station. Near the Izumo Taisha Seimon-mae. About 20 minutes’ drive from the Izumo IC on the San’in Expressway. Onomichi is a quaint town located along the Seto Inland Sea in eastern Hiroshima Prefecture. Onomichi was certified as as Japanese Heritage on 2017. The town extends from the mainland across some of the neighboring islands.Small ferries operate between the downtown area and the nearby islands, adding to Onomichi's nostalgic port town atmosphere. Free gourmet booklet with a map, "Night-time Food & Drinks Guide" available at hotels around Okayama Station. 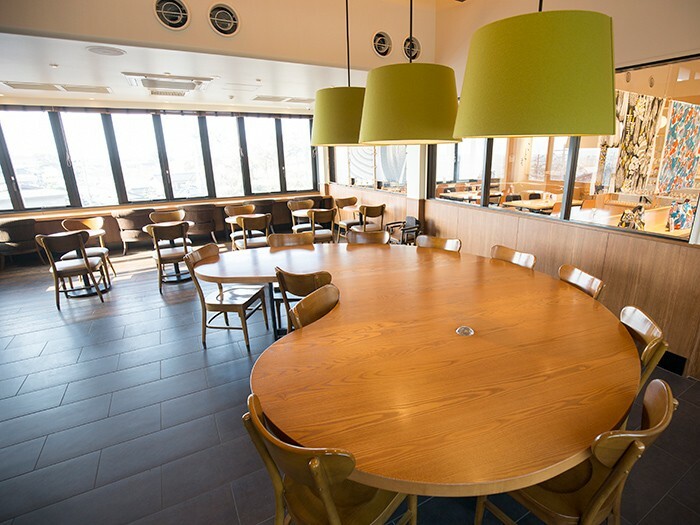 Check out here (website) for more details about the cafes, bars and restaurants around Okayama Station recommended by local editors published Night-time Food & Drinks Guide. We present to you a collection of short movies filled with stunning western Japan locations that you have almost certainly never seen before. The scenes of Seto Inland Sea islands, beautiful towns and the daily lives of the locals will make you want to book a trip as soon as possible. The exquisite beauty of the blooming cherry blossoms, and also their transient beauty as the petals fall, has been revered in the literature and aesthetic concepts of Japan since ancient times. Spring in Japan is the perfect time to immerse yourself in its hanami (flower viewing) culture, when friends and family gather under the cherry blossom trees and appreciate the beauty of the flowers while drinking and eating merrily. What would a trip be without a special meal or treat along the way? Enjoy a luxurious time that satisfies your stomach and even your heart with cuisine created and meticulously finished by a master chef, using local, high-quality ingredients. Japan's one and only enclosed sea, the Seto Inland Sea. It contains over 700 islands, each with a culture and cuisine blessed by mountains and sea. It's so beautiful that some call it "the Aegean Sea of the East." Registered Japan Heritage towns like Kurashiki and Onomichi, born out of the unique geography of the Seto Inland Sea, are places that feel nostalgic and allow visitors to get a sense of daily life there. 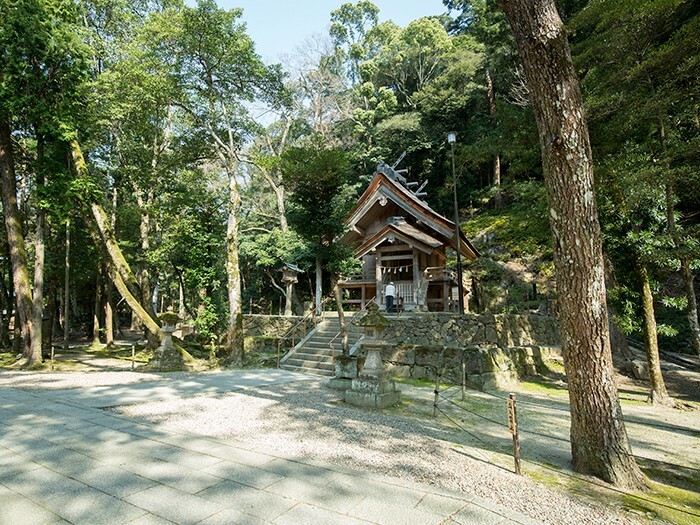 Western Japan is dotted with spiritual “power spots”, including the Shikoku pilgrimage ("Ohenro") of 88 sacred sites, and Itsukushima Shrine, a religious center and UNESCO World Heritage Site. As an island nation, unique cultural forms have developed in Japan. 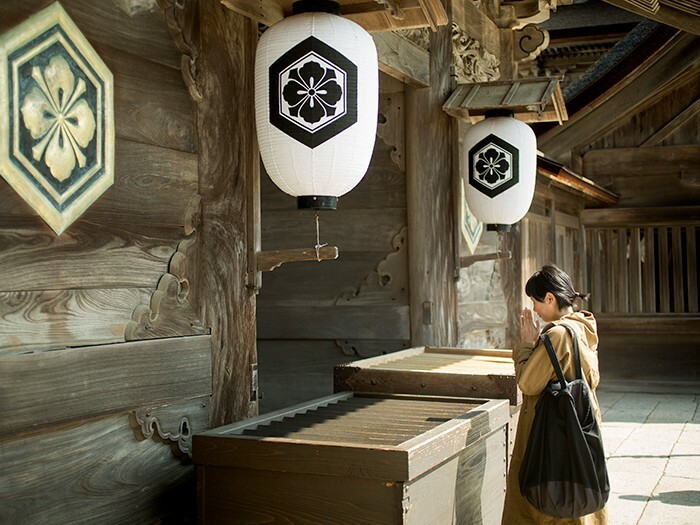 Traditional Japanese homes, where you can experience the earth and wood beloved of old Japan, are on trend worldwide. Enjoy these somehow comforting and soothing spaces. Western Japan has mesmerizing sights you have never glimpsed before,from the islands in the vast waters of the Seto Inland Sea to the ancient castles rising into the sky and rivers that will make you sense eternity. Kagawa is a byword for udon noodles, and the delicacy that is Sanuki udon is famous not just in Japan but throughout the world. 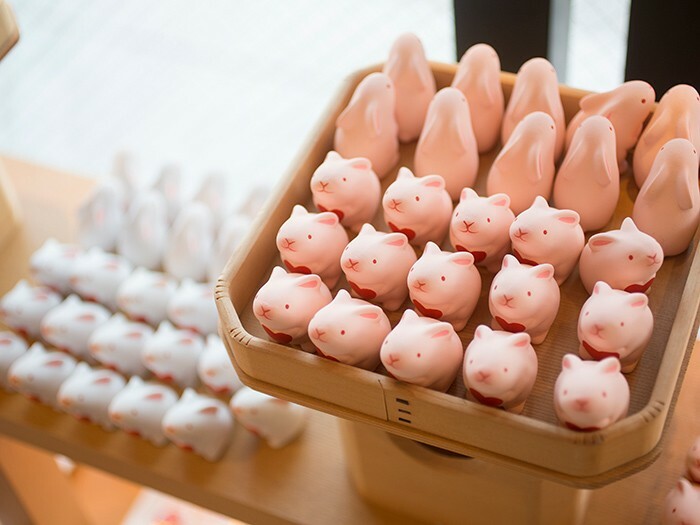 Enjoy the local flavor of Kagawa that has been the favorite of common people here. Find out about Japan-made jeans, which have worldwide fans and are made from regional denim varieties that include those from Japan’s most famous denim-producing zone, Kojima and Onomichi. 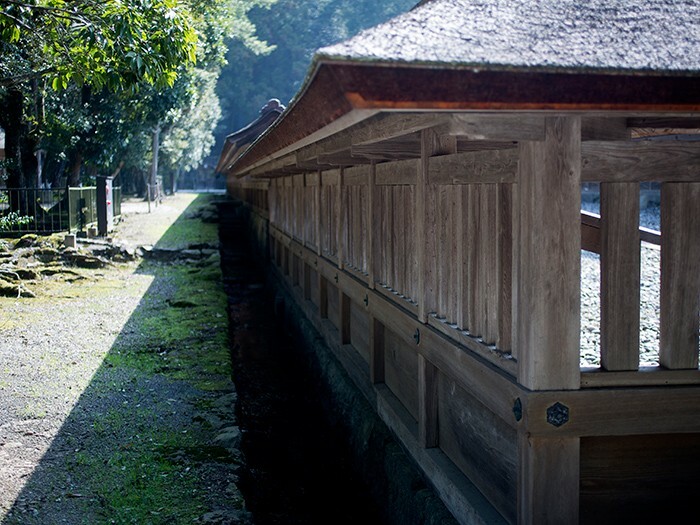 There are many places for art in west Japan, where outstanding natural beauty and traditional aesthetic are protected. 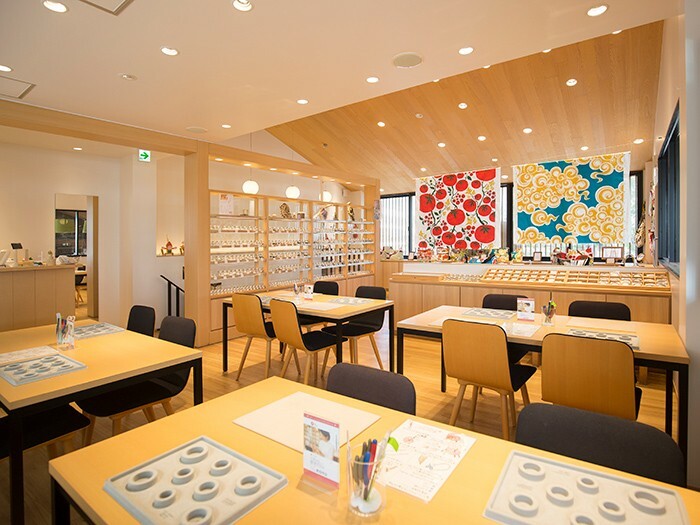 In particular, Okayama, Hiroshima, and Kagawa are attracting attention as great destinations that drive artistic culture in west Japan. The Seto Inland Sea boasts scenic cycling routes that showcase its maritime and mountain views, including the Shimanami Kaido that skips from island to island and the Kibi Route that leads around historic sites. It is said that the history of okonomiyaki is the history of Hiroshima, such is the love of Hiroshima’s people for this exemplar of regional cuisine, passed down through generations. The culture of therapeutic bathing and mind by relaxing in a hot bath amid beautiful ever-changing scenery is a fixture of Japanese culture. The Setouchi region boasts scenic outdoor baths set above sprawling islands. 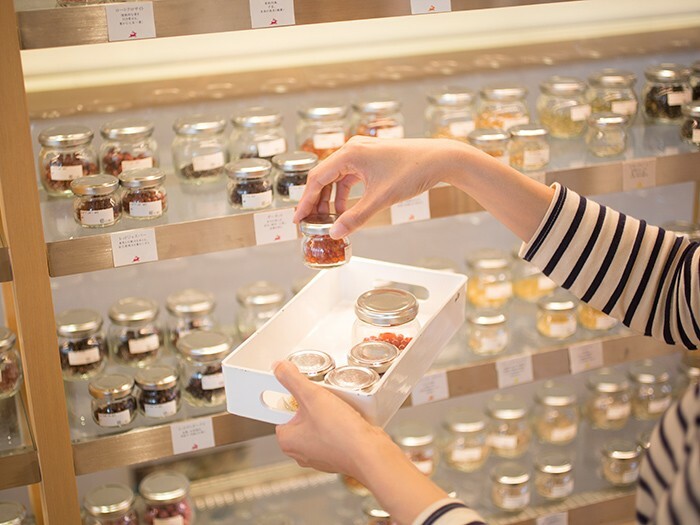 With its warm climate, West Japan has many fruit-producing regions, including Okayama, "the fruit kingdom," famous as the top producer of white peaches and Muscat grapes. You can savor sumptuous sweet treats using lavish portions of seasonal fruit such as parfaits and shaved ice. A peaceful body of water surrounded by Honshu, Shikoku and Kyushu, the Seto Inland Sea is renowned for its many beautiful islands and scenic views. Known also as the Aegean of the East, it attracts countless visitors from around the world. Okayama, the Land of Sunshine, abounds with the blessings of lush mountains and a bountiful sea, the beauty of nature and the crossroads of prominent Japanese historic heritage. 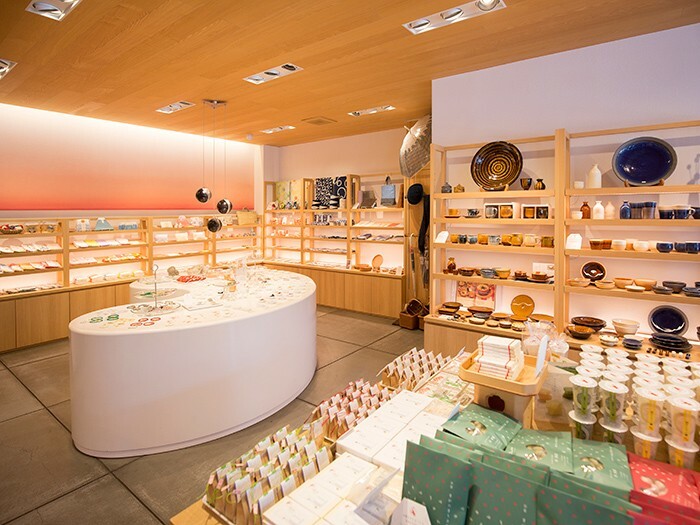 Always a key transport hub in the Setouchi region, in recent years it has also become the gateway to the art of the Seto Inland Sea. 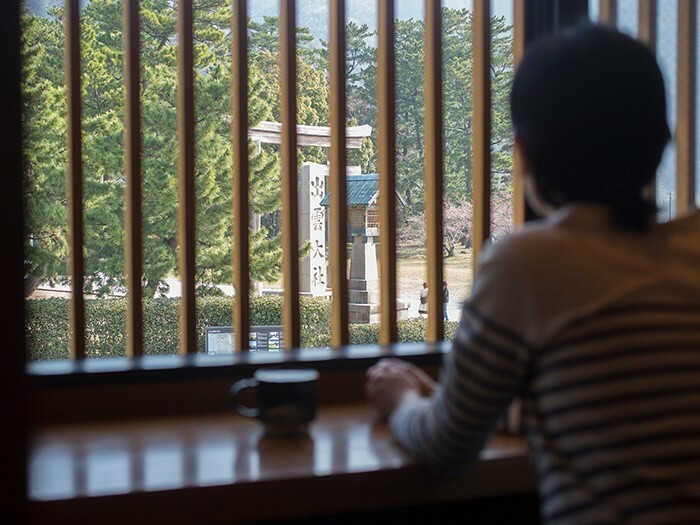 Hiroshima, the International City of Peace, is known throughout the world for its two World Heritage sites and for being the setting of superb literary works. This is a compulsory stop for connoisseurs from around Japan looking for unique food culture, not least of which are okonomiyaki, said to be Japan's national dish, and oysters. 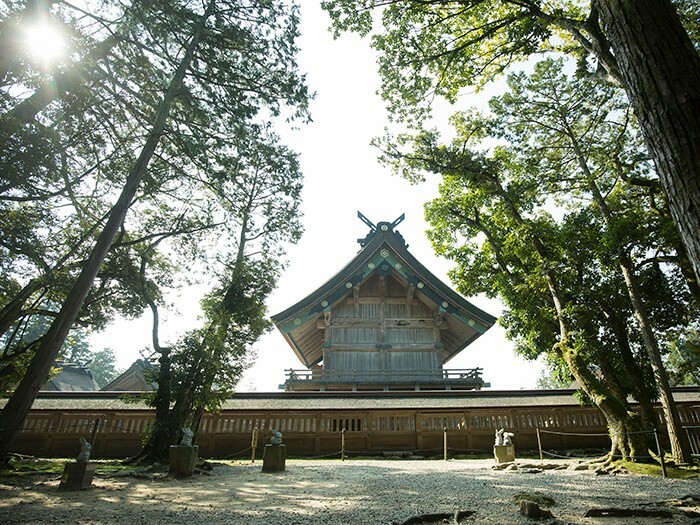 Shimane Prefecture is redolent of tradition, boasting a large number of nationally-recognized historical and cultural treasures such as the Izumo Taisha Grand Shrine and Matsue Castle. Its large number of hot springs means it attracts a large number of people seeking healing in body and soul. It is also popular among visitors who can enjoy the fresh seafood from its Japan Sea coast and traditional foods such as soba noodle and Japanese sweets. In the northern part of the prefecture facing the Sea of Japan, there is a beautiful stretch of coastline of the Tottori Sand Dunes and white sand and pine trees while the south is a majestic mountain range including Mt. Daisen, the tallest peak of the Chugoku region. Tottori is therefore an area of natural beauty changing by the season, where delicacies from the sea and the mountains await. Kagawa is the smallest prefecture in Japan. It is famous in Japan and abroad for being home to Sanuki udon, one of the “big three” udon noodle varieties, to the point that Kagawa is also known as “Udon Prefecture.” Kagawa is also gaining ground as a leader of Japan’s art culture by serving as the stage for the Setouchi Trienniale, a renowned contemporary arts festival. Kochi Prefecture is a premier destination for natural beauty, with its dynamic, warm Kuroshio current-bathed coastline, crystal-clear rivers such as the Niyodogawa famous for its “miracle blue” waters, and ample scenic hotspots. It is also popular as a foodie destination, a variety of seafood including skipjack tuna and its delicious sake rice wine. Many people flock to Ehime prefecture to soothe their mind and body with the healing waters of Japan's oldest hot springs resort Dogo Onsen, and the breathtaking Tashimabi scenery of numerous islands scattered throughout the Seto Inland Sea, as seen from the Shimanami Kaido bridge route connecting six of the larger islands. In addition to these and other attractions, Ehime is also blessed with a warm climate and locally grown citrus fruits, as well as an abundance of seafood sourced from the three coastal waters that surround it. © VIS-À-VIS All Rights Reserved.